Father’s day is coming soon, and just like Mom, Dad needs a nice gift too! Dads are awesome; they’re always there to support us, and never expect anything in return. Appropriately, Father’s day falls around the same time as grilling season. So to celebrate Father’s Day, summertime grilling, and great dads, here’s a list of 20 great cookbooks that Dad would love— they all offer greatness to the world of food and become instant favorites, no matter the season. Great cookbooks makes a statement; they have reliable recipes that anyone can recreate at home, photography that is hunger-inducing, they has insightful and inspiring writing, and it contains relevant knowledge and advice to help create amazing food no matter what you’re making. Whether your Dad is a foodie, if he’s just getting into cooking, or if he just really likes grilling, he’s sure to love any of the books on this list! The man who got America fired up about grilling now extends his serious outdoor skills to low and slow barbecue and the intoxicating flavors of wood smoke. Bobby turns his attention to true barbecue in Bobby Flay’s Barbecue Addiction. With this book you get the best of both worlds and can decide whether to barbecue Tuscan Rosemary Smoked Whole Chickens or quickly grill some Pimiento Cheese-Bacon Burgers, depending upon your craving. Here is everything you need for a great backyard bash: pitchers of cold drinks, platters of starters to share, and inventive sides. You’ll also find tons of helpful information on the pros and cons of different cookers, fuels, woods, and grilling gear; how to light and tend a fire; how to tell when your steaks are done; as well as Bobby’s top ten tips for the perfect cookout. The Queen of Burgers has drawn together her tastiest recipes for the ultimate between-the-buns experience. Whether you’re cooking for one or for one hundred in your own backyard burger bash, The Book of Burger has you covered for bringing family and friends together for the love of burgers! Please ’em all—big and small—with everything from burgers to sandwiches, hot dogs, fries, sliders, and sloppies, and so much more. Filled with Mixon’s southern charm, personal stories, and never-before-shared methods, BBQ Rules is a down-home, accessible return to old-school pit smoked barbecue. In barbecue, “old-school” means cooking on a homemade coal-fired masonry pit, where the first step is burning wood to make your own coals, followed by shoveling those coals beneath the meat and smoking that meat until it acquires the distinct flavor only true pit-smoking can infuse. With easy-to-follow, straightforward instruction, America’s pitmaster shows you how and also demonstrates methods for cooking on traditional gas and charcoal grills common in most backyards. The book is divided into four parts—Meat Helpers, The Hog, Birds, The Cow—and features recipes and methods, including: Pulled pork, brisket, and t-bone steaks. From one of America’s master grillers, a step-by-step guide to cold-smoking, hot-smoking, and smoke-roasting, and a collection of 100 innovative recipes for smoking every kind of food, from starters to desserts. Smoke is the soul of barbecue, the alchemy that happens when burning wood infuses its magical flavors into food. Project Smoke tells you how to make the alchemy happen, with Raichlen’s seven steps to smoking nirvana; an in-depth description of the various smokers; the essential brines, rubs, marinades, and barbecue sauces; and a complete guide to fuel, including how each type of wood subtly seasons a dish. Then the recipes for 100 enticing, succulent, boldly-flavored smoked dishes. Part field guide to grilling and barbecuing and part cookbook, Master of the Grill features a wide variety of kitchen-tested recipes for meat, poultry, seafood, vegetables, pizza, and more. These are the recipes everyone should know how to make— the juiciest burgers, barbecue chicken that’s moist not tough, tender grill-smoked pork ribs, the greatest steak (and grilled potatoes to serve alongside). Regional specialties are included, too—learn how to make Cowboy Steaks, Alabama BBQ Chicken, and Kansas City Sticky Ribs. Over the past 100 years, the New York Times has published thousands of articles on barbecuing and grilling, along with mouthwatering recipes—and this unique collection gathers the very best. These essential pieces are worth savoring not only for their time-tested advice and instruction, but also for the quality of the storytelling: even non-cooks will find them a delight to read. Almost all of the newspaper’s culinary “family” weighs in here, along with renowned chefs and everyday tailgaters. The famous names include bestselling author Mark Bittman, who contributes the foreword as well as several essays and recipes; food critic Craig Claiborne, Pierre Franey, the beloved Florence Fabricant, Jacques Pépin, Molly O’Neill, and many more. 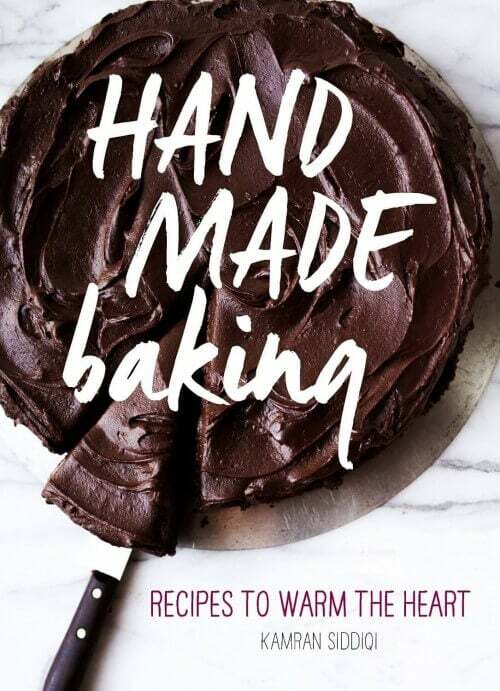 With everything from barbecue basics to expert tips, from healthy vegetarian fare to heart-attack-inducing meaty indulgences, this fun, surprising, and enlightening book is a treat for everyone. So pick out a recipe, or three or four or ten, and fire away! When Aaron Franklin and his wife, Stacy, opened up a small barbecue trailer on the side of an Austin, Texas, interstate in 2009, they had no idea what they’d gotten themselves into. Today, Franklin Barbecue has grown into the most popular, critically lauded, and obsessed-over barbecue joint in the country (if not the world)—and Franklin is the winner of every major barbecue award there is. In this much-anticipated debut, Franklin and coauthor Jordan Mackay unlock the secrets behind truly great barbecue, and share years’ worth of hard-won knowledge. Franklin Barbecue is a definitive resource for the backyard pitmaster, with chapters dedicated to building or customizing your own smoker; finding and curing the right wood; creating and tending perfect fires; sourcing top-quality meat; and of course, cooking mind-blowing, ridiculously delicious barbecue, better than you ever thought possible. Smoke & Spice, the James Beard Book Award winner that has sold more than a million copies and is the only authoritative book on the subject of genuine smoke-cooked barbecue, is now completely revised and updated. Outdoor cooking experts Cheryl and Bill Jamison have added 100 brand-new recipes, the very latest information on tools, fuels, equipment, and technique, and loads more of their signature wit, charm, and reverence for barbecue. A provocative, handpicked collection of relevant (and surprising) essential recipes for today’s cook. We have countless recipes at our disposal today but what are the real keepers, the ones that don’t just feed us when we’re hungry or impress our friends on Saturday night, but inspire us to get into the kitchen? At the forefront of American cooking for more than 20 years, the editors at America’s Test Kitchen have answered this question in an essential collection of recipes that you won’t find anywhere else: 100 Recipes Everyone Should Know How to Make. Organized into three recipe sections—Absolute Essentials, Surprising Essentials, and Global Essentials—each recipe is preceded by a thought-provoking essay that positions the dish. You’ll find useful workday recipes and familiar favorites reinvigorated. Likely to stir debate among anyone interested in food and cooking, 100 Recipes Everyone Should Know How to Make provides a snapshot of how we cook today and will galvanize even the most jaded cook to get into the kitchen. From the most trusted name in grilling, Weber’s new definitive guide is one that that blends traditional techniques and modern recipes. To define American barbecue as “ribs and roasts cooked low and slow in the Southern style” doesn’t do it justice. Traditional barbecue, in all its delicious glory, is a foundation—an idea to be built upon. And all across the country, home grillers and restaurant chefs alike are doing just that. In this big melting-pot of a nation, we all bring something different to the table—flavors, spices, perspectives—and each time we do, the meaning of barbecue changes a little. Until now, home cooking has remained radically out of touch with the technological developments that characterize the rest of modern life. This is the book to prove that science can dramatically improve the way we eat. Having spent years refining his analytical and imaginative approach at the Fat Duck restaurant, Heston Blumenthal is uniquely qualified to bring the benefits of science to the domestic kitchen. Both time-saving and energy-efficient, his methods unlock the alchemical potential of flavor and taste. Big burgers packing an even bigger punch: that’s what you’ll find in this new cookbook that pays homage to the king of the grill. Whether you like them rare or well done, beef or veggie, on or off the bun, you’ll discover something exciting and delicious—including Texas Chicken Burgers, Rosemary-Cabernet Sliders, Greek Lamb Burgers, Salmon Burgers with Cajun Rémoulade Sauce, and Portobello Pesto Burgers. Plus, there are recipes for fresh fixings, delicious sides (such as slaws and oven fries), and spiced-up toppings like chips ‘n’ guac and hot hoisin. And with Good Housekeeping’s tried-and-tested cooking advice, you know your burgers will be grilled to perfection every time. The Great American Burger Book is the first book to showcase a wide range of regional hamburger styles and cooking methods. Author and burger expert George Motz covers traditional grilling techniques as well as how to smoke, steam, poach, and deep-fry burgers based on signature recipes from around the country. Each chapter is dedicated to a specific regional burger, from the tortilla burger of New Mexico to the classic New York–style pub burger, and from the fried onion burger of Oklahoma to Hawaii’s Loco Moco. Motz provides expert instruction, tantalizing recipes and photographs to help you create unique variations on America’s favorite dish in your own home. Whether you’re whipping up a sizzling weeknight family dinner or planning a warm-weather menu for friends, Taste of Home Backyard Barbecues has you covered. Turn here for all of your fiery favorites…from steaks and chops to burgers and brats…including perfect side dishes, desserts and appetizers! Best of all, each recipe is shared by a family cook so you know it’s a proven winner. Ideal for casual summer get-togethers, church picnics, family reunions, tailgates and more, Backyard Barbecues promises to be the one book home cooks reach for all season long. Learn To Make Delicious, Next-Level Barbecue From a Smoking Pro. Use your Weber Smokey Mountain Cooker and other smokers to take your barbecue to the next level. This book includes incredible recipes combined with all the secrets to making great-tasting, succulent and perfectly cooked barbecue every time. Keep an eye out for the pulled pork recipe that won “the Jack,” and the brisket recipe that got a perfect score at the American Royal Barbecue Invitational Contest. Make the Best Barbecue Out There. In Smoke It Like a Pro, barbecue pitmaster and competitive barbecuer, Eric Mitchell, teaches you how to smoke, grill, roast, cure, fry and sear unbelievable, melt-in-your-mouth barbecue dishes that will blow your competition out of the water and make you the talk of the block. The Ultimate Book of BBQ builds on the expertise of Southern Living magazine to create the definitive barbecue and outdoor grilling guide. The book features a couple hundres of the highest-rated Southern Living recipes for barbecued meats and sides, plus pit-proven tips, techniques, and secrets for year-round smoking, grilling and barbecuing. This book includes everything the home cook needs to achieve first-rate backyard barbecue. Proven cooking techniques and equipment, expert advice from award-winning pitmasters, and a Rainy Day BBQ chapter with stovetop, oven, and slow-cooker options make this Southern Living’s most definitive book on barbecue. The secret to the best barbecue from the man who barbecues the best: Keep it simple! In the world of competitive barbecue, nobody’s won more prize money, more trophies, or more adulation than Myron Mixon. And he comes by it honestly. From the time he was old enough to stoke a pit, Mixon learned the art of barbecue at his father’s side. He grew up to expand his parent’s sauce business, Jack’s Old South, and in the process became the leader of the winningest team in competitive barbecue. It’s Mixon’s combination of killer instinct and killer recipes that has led him to three world championships and more than 180 grand championships and made him the breakout star of TLC’s BBQ Pitmasters. For succulent results every time, nothing is more crucial than understanding the science behind the interaction of food, fire, heat, and smoke. This is the definitive guide to the concepts, methods, equipment, and accessories of barbecue and grilling. The founder and editor of the world’s most popular BBQ and grilling website, AmazingRibs.com, “Meathead” Goldwyn applies the latest research to backyard cooking and over 100 well-tested recipes. This post was made in partnership with Barnes & Noble. For some more inspiration, be sure to visit Barnes & Noble for Father’s Day Gift Ideas. Kam- thanks for such a great selection of books. The hubby isn’t huge on cooking but he loves grilling. We also love watching Bob’s Burgers together, so I’ll definitely be getting him that. OMG! I was just talking about Heston Blumenthal to my husband today. We’ve only recently discovered his videos on YouTube and they’re amazing. Have you seen his video about Peking Duck? He’s a genius. While we’re talking about geniuses… my husband and kids are so obsessed with your Bagels. We’re New Yorkers now living in Miami. I made the ones from your blog and your improved recipe in your book. Heaven. Thank you!